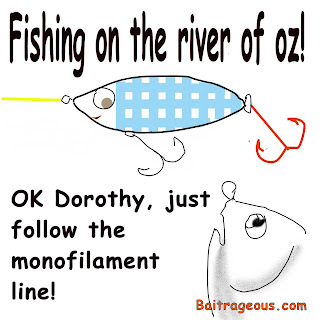 BaitRageous: Fishing on the river of.........OZ ? 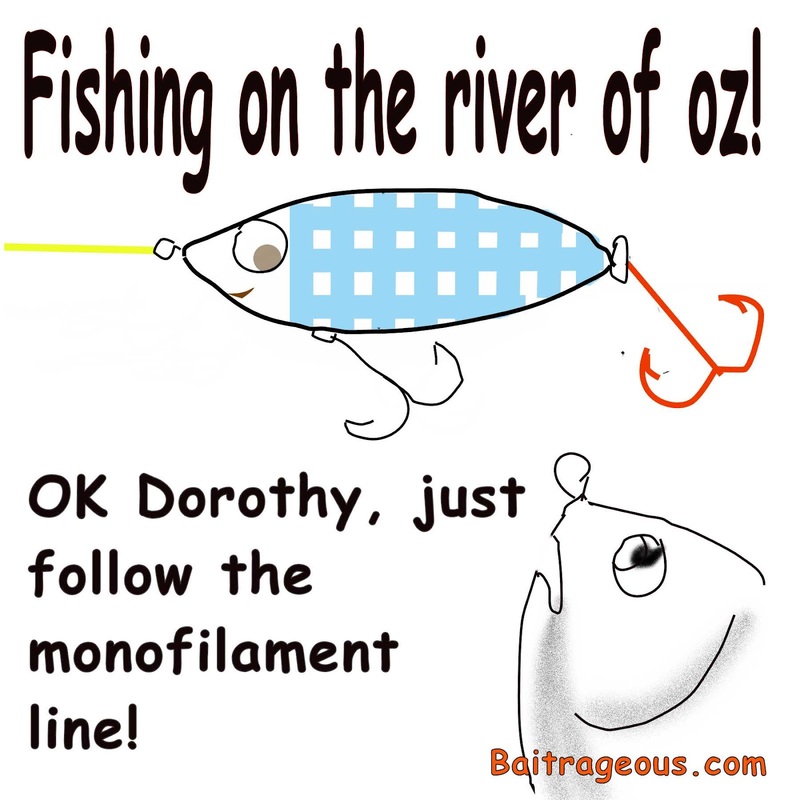 Ok, here's my fishing cartoons of the week. I got real creative this week and went fantasy fishing on the river of oz. Actually it turned out better than my last real fishing trip when I had a flat at 5:15am. Anyway, I have learned a lot about the river of oz as you will see in coming weeks.....he...he...he. Wait till you see the really bad wicked witch jig. 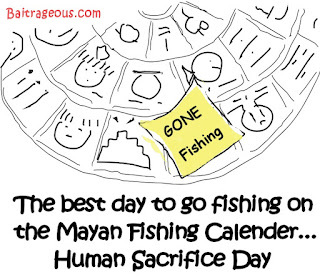 I just couldn't pass up more about the Mayan Fishing Calender. 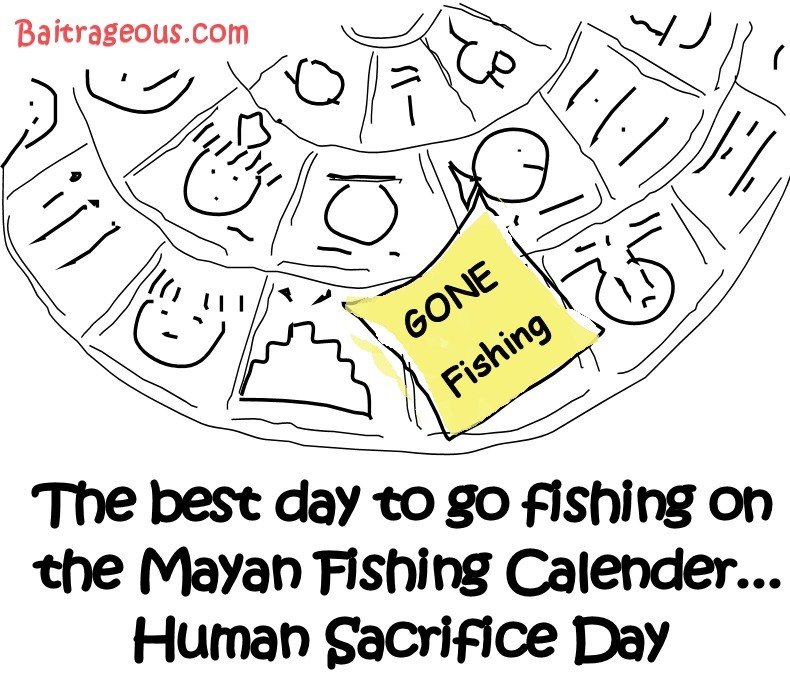 I do wonder if the Mayan fisherman had a real fishing calender? 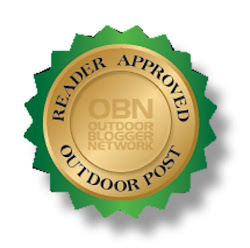 The "Oh man, bob" cartoon is from a worm's prospective. Hope you enjoyed and remember "Life is short, get away from the big screen and get on a big screen."